He's hardly surprised to see Zach Parise skating in the 2010 Olympic Winter Games, but that doesn't mean Dave Hakstol isn't thrilled to see his former player competing on the world stage. The head coach of the University of North Dakota men's hockey team since 2004, Hakstol, a former player with the Fighting Sioux from 1989 to 1992, knew what to expect when the United States named their roster for the men's hockey event currently taking place in Vancouver. An honour, Hakstol insists, that would not be lost on the player who has become one of the NHL's elite offensive forwards. That was never more apparent to Hakstol than when he ran into Parise last June. Hakstol, who saw Parise in Minnesota, was reminded of just what makes the New Jersey Devils' forward the consummate professional. “It's 10 in the morning on a Sunday in the summer and there is Zach at a local rink, wearing shorts with his gloves on and stick in his hand,” recalled Hakstol, who was the assistant coach during Parise's two collegiate seasons, from 2002-04. “He set up a station at the rink to work on his game. Parise captured numerous honours at North Dakota, including WCHA Third Team All-Star (2003), WCHA All-Rookie Team (2003), WCHA First All-Star Team (2004) and NCAA West First All-American Team (2004). In his two seasons of collegiate hockey, he registered 116 points (49 goals and 67 assists). 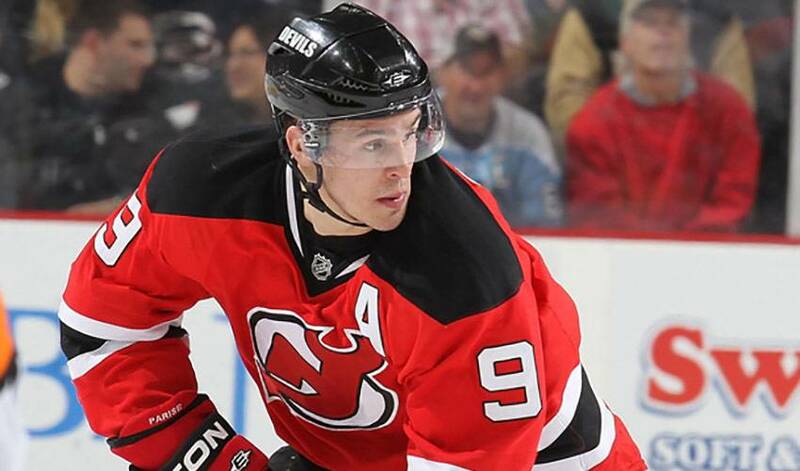 It was the Devils who were able to land Parise, taking him 17th overall in 2003. Hakstol had no doubt what was in store for Parise. In 2005-06, Parise appeared in 81 games, tallying 18 goals and adding 14 assists for 32 points. Five of his markers were game winners. The following season, Parise scored 31 times, while also producing 31 assists. His third NHL campaign saw him record 32 goals and 65 points in 81 games. On April 28, 2008, Parise was named an alternate captain of the 2008 U.S. Men's National Team in the 72nd annual IIHF World Championship. Parise was nothing short of sensational in 2008-09. He tallied 45 goals (second to Alexander Ovechkin) and 49 assists for an NHL career-high 94 points (fifth overall). He made his first All-Star appearance at the 2009 NHL All-Star Game in Montreal, scoring a goal in the mid-season event. At season's end, Parise, along with Pavel Datsyuk and Martin St. Louis, were nominated for the Lady Byng Memorial Trophy for the 2008-2009 campaign. The trophy is presented each year to the NHL "player adjudged to have exhibited the best type of sportsmanship and gentlemanly conduct combined with a high standard of playing ability." Parise, the MVP of the 2004 IIHF World Junior Championship, won by the United States, has certainly left his mark on his alma mater. Zach Parise has been on-fire lately, leading the Wild towards the playoffs. His offensive output and leadership make him the Player of the Week! The Minnesota native has returned to his home-state and has recently turned up the intensity and the production as the Wild have made a move in the standings. Zach's been a key producer during this stretch and is our Player of the Week.